SAP BusinessObjects Design Studio 1.6 on SAP Netweaver Portal. In the roadmap of SAP we learn that the way to go is to embed your Design Studio app’s to the SAP BusinessObjects BI Platform. But this is not for all companies directly applicable. For those who the SAP Netweaver Portal is the only platform available, I hope this blog is helpful. 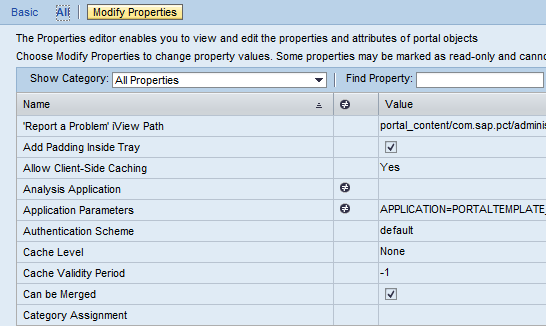 Note chapter 5.8 Configuring the Report-Report Interface for Analysis Applications! This would be the most ideal solution, to change swiftly all the reports to a neat Design Studio interface. But this is sadly not supported by SAP now and in the future. SAP is heading only for improvements on the SAP Business Objects BI Platform and will not improve the SAP Netweaver Portal. This solution I would recommend not to use. As it has a high work rate to save manually each Bex Query in a Design Studio app. Even if you reuse each time the same app. Modifications on the reused app will be needed on each item saved on the platform. The Netweaver Portal embeds one Design studio app as a portal interface. Via that app you ‘ll retrieve instantly information and you will be able to jump to all bex queries related to it. In this case you’ll only have to maintain 1 app. The interface is build from scratch in the SAP BusinessObjects Design Studio application. The goal of the interface is to give you a clear overview of your facts & figures of your business. In the “Welcome (Welkom)” page we will show KPI from different subdomains all together in one view, those are the most used and most important facts the business want to know. “Aanvragen”/”Regularisatie”/etcetera show all the facts & figures per subdomain. Each tile represents thus a KPI. In the headings of the tile we see the Bex Query name belonging to the KPI. On mouse click on the tile we jump to a generic analysis template app that visualizes the go-to- Bex Query. In the new window showing our BEX-Query we are able to jump via RRI to the same app including the jump-to BEX Query. The tiles are panels containing Text & Icon components. Each panel contains the jump to the respect. query. Query app uses the Generic Analysis template. You’ll have to add this app to your SAP Netweaver Portal as well. See chapter 3:”Embedding Design Studio app’s on the SAP Netweaver portal”. The jump explained in previous chapter (5.1) will push through the variables: XSystem and XQuery. The generic analysis template fetches those values and will open the specified query in the Design Studio App, because you will force it by adding the XTEMPLATE parameter. Is 100% the same as the design of the query app. But if you really want you can use another template. It could be handy to force the prompts to pop up of the Query app, so business can (re)define the query. It’s another behavior as when you jump from a line in the query to another query, more detailed and passing through the parameters of that line. Sao that’s a choice up to you. in the main “Launchpad” design studio app we use a textpool to lineup all my tiles as KEY and add the corresponding technical name of the query behind the tile as TEXT. As stated before each tile is showing data from one query. we concat the URL with the parameters we want to push through. 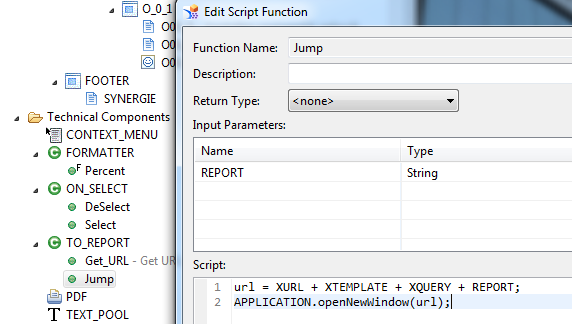 When the whole URL is established we user our script function to launch the jump to report. Allright the Jump is created now the target report need to catch the parameters as well. We used the Generic Analysis template as our jump_to_report. You’ll need to set each parameter/bexquery prompt variable as a global variable. In the Global scripts Object: START_FUNCTION-on_initialization you’ll need to translate the design studio app parameter into the bex variable tech name. This is really cool! A silly question – what type of a component you are using for “tiles”? Do the tiles have any on-hover effect? If so, would you mind sharing, please? I really appreciate your post here ! We have just migrated to BW on Hana, but we would like still to use our SAP Netweaver Portal (with webtemplates designed with WAD). 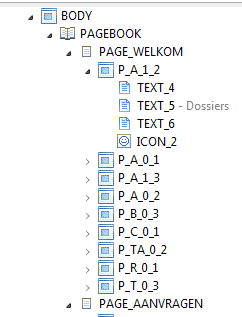 Could you please show “again” the pictures we can get with Design Studio app in SAP Netweaver Portal? Is there some restrictions? 2. When Lumira 2.0 (new Design Studio) is available ? and SAP Netweaver Portal can still support a Lumira 2.0 app ? SAP LUMIRA 2.0 will only be deployable on BI platform. But note that will be “easy” to transform your design studio 1.6 apps to a lumira 2.0 designer version. is that the “One Design Studio App” embedded on the SAP Netweaver portal ? Can we use 2 environments together with our BW on Hana for the duration of the “conversion phase” of our current reports( webtemplates ) ?